Are you ready to take your family on a ski trip (Contact Us 888.700.2SKI 2754)? It’s important to choose a resort that is geared towards your groups make up so plan your vacation with us. Not all ski resorts are suitable for beginner skiers. This is not to say that there are ski resorts that have signs reading “No Beginners Allowed.” In fact, most areas roll out the welcome mat for new skiers, but there are some resorts where the terrain and services are geared toward satisfying the wants and challenges of the advanced skier. This is actually good for beginners, because it keeps the fast-moving, high-flying experts from scaring first-timers. 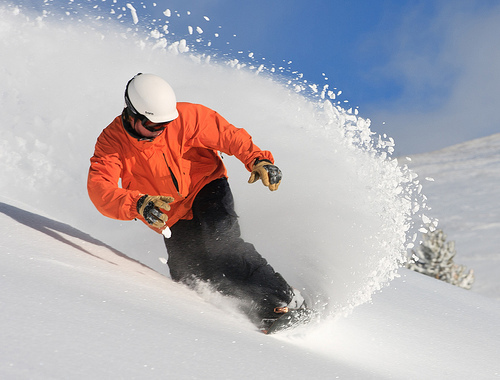 Ski resorts that are geared toward the new and beginning skier are not hard to find. Most promote themselves as the premier place to learn to ski. Look for a resort with a dedicated area for new skiers, including a slow, easy means of transport to the top of the learning hill, a package deal that includes a full day ticket on the learning area, appropriate skis, boots, and poles, and at least a two hour lesson in a guaranteed small group. At Rocky Mountain Resort Management we provide the full experience of a winter and summer vacation. We off full services in all areas that we serve, buy offering all the EXTRAS bookable on our site, a Winters Activities guide and a Summer Activities guide. All designed to assist you in making sure your vacation is perfect. All of at Rocky Mountain Resort Management are here to help you and guide you with recommendations for every aspect of your stay in the Colorado Rocky Mountains. All ground transportation at our online STORE as well. Once you arrive, having a car can be convent for access the many towns and variety of mountains in the area. Shuttle services can be expensive from the airport, sometimes more than simply having a car. Once you’ve got your plans firmed up, head over to our BLOG and CALENDAR for the latest tips in resort events and activities. And, naturally, down load our APP (or use it on your desk top) to get the latest in creating the vacation of yours—and your family’s—dreams. ( ITUNES :: DROID :: WEB BASED ). We send push notifications on dinner specials, live entertainment, road closures, lodging deals and so much more! Whether it’s been years since you hit the slopes, or you’re signing junior up for his first round of ski school, or you’re an expert skier looking for a way to skip the lines, it’s worth it to book a lesson. All the Resorts winter sports schools are world-renowned for their quality of instruction. Investigate further at, 888.700.2754 and pick the extension that gets you to the correct Mountain Concierge. We also recommend you protect your stay with Travel Insurance to insure against cancellation, delays in travel – both in your home state and here in Colorado, and injury during your vacation. Damage Insurance is a must, for only $45 your receive $1500 of coverage against incidental damage to your property during your stay. So if you spill a glass of wine on the carpet or put a hot pan on a counter top, you just call us and let us know and we file the claim for you. It’s always a good idea to be prepared! Ski resorts really want your business. If you are new to the sport, many resorts will offer a selection of accommodations that ease you through the process of parking, getting outfitted, and getting placed on the hill for your first appearance on skis. In some cases, a resort photographer is even available to record your experience for posterity! You should expect to be coddled because if your experience is not pleasant, the resort knows you won’t be back. Family ski and stay vacation packages typically offer free children’s lift tickets, with an adult purchase, as well as free lodging for children. Many ski areas offer multi-day packages with lessons every day, sometimes twice daily, and appropriate equipment upgrades as you progress. Most resorts have a planned progression of lessons that can step you through higher skill levels at your own learning pace. Check to see if the resort has slopeside condominiums available. A condo is ideal for a family ski vacation. There are usually two or more sleeping areas, a dining room or eating area, and a kitchen, so it isn’t necessary to spend time (and money) eating every meal in a restaurant. A good alternative is a suite with a kitchenette. Also handy is outside access. A door to the parking lot saves dragging skis indoors, and it makes for easier access to, and from, the slopes. Many of our accommodations feature garages or underground heated parking areas, pools, hot tubs (private and common), gyms, steam showers, saunas, and much more. You may be surprised to see that your children still have energy, when you’re out of it, and an pool is a good way to expend that extra energy. Regardless of the accommodations you choose, it’s useful if a shuttle, or other transportation, to the slopes is provided directly from your property. All of our properties with a kitchen come fully stocked, all have linens and towels for your stay and a start supply of soap, paper products and coffee. Head straight to RMRM.net or call Reservations at 888.700.2SKI (2754) to book a property. The easy to use website begins by putting in your destination and narrow down your dates and number of people. Whether you want a condo, hotel room, or something else, you’ll find it here. Location: Is it ski-in/ski-out? If not, how far is it from the nearest lift? If it isn’t near a lift, is there a ski/snowboard concierge service so you won’t have to schlepp your equipment? Amenities: Is there a washer and dryer available? A refrigerator? Kitchen? You get the drift. Extras for the kiddos: Will the property provide a crib and high chair, and if so, will there be an additional cost? Property highlights: Is there a pool area that’s kid-friendly? Hot tubs? Most properties have gyms, and some have special play areas and game rooms for kids. If you have little ones, plan ahead. Review child care options and make your reservations well ahead of time. Many resorts, for example, has on-site child care for children ages 6 weeks – 6 years. Resorts have an impressive combination of ski, play, and child care programs, as well as the option of arranging a nanny to accompany your child throughout the day. Plan your nights out on the town, too. Check in advance to see if the resort can provide you with a list of approved babysitters. Make those reservations in advance, when possible, as well. Finally, remember this is a family ski vacation and you will want to ensure that it’s a good one. To be certain, resorts have your best interests at heart, and can be trusted to provide an excellent product. It’s up to you to cover all the bases, and to make sure your family ski vacation is planned, from beginning to end, in advance and Rocky Mountain Resort Management is here to help in every way we can. Welcome to the Colorado Rocky Mountains, how can we be of service to you today?